Halloween season is here in Southern California, and that means theme park fans are beginning to flock to the local haunts in order to get an early start on their annual fulfillment of scares. One of the most popular haunted attractions in Los Angeles is Universal Studios Hollywood’s Halloween Horror Nights, which started at the fabled movie studio in 1997 and has been running strong ever since, except for a five-year gap between 2001 and 2005. 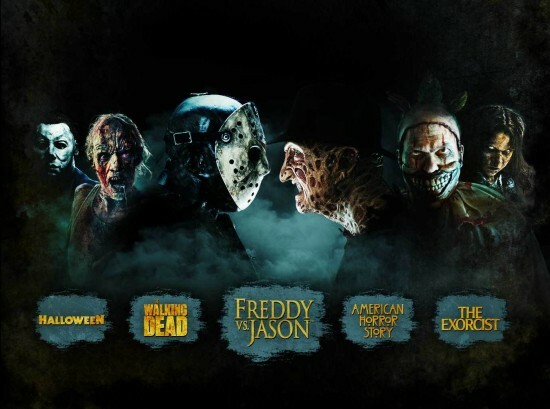 This year’s Horror Nights promises to be one of Universal Hollywood’s biggest, with the park’s creative team having assembled an incredibly strong roster of popular franchises and characters. So how does it stack up? 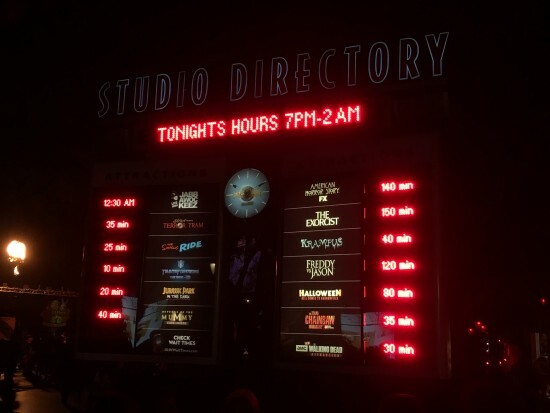 I had the opportunity to attend this year’s Horror Nights in Universal City on opening night, and it was an incredibly fun and exhausting evening. Below, I’ll take you through each attraction one-by-one as we discuss the good, the bad, and the terrifying of Universal Studios Hollywood’s Halloween Horror Nights 2016. While some of them aren’t quite as effective as others, each of the mazes at this year’s Horror Nights offers its own unique spin on the intellectual property it represents, and they all reflect a tremendous, tireless creative effort on the part of the design team. They’re remarkable all-around, but for the sake of this review I’ve ranked them in descending order of impact they had on me personally. This is my favorite movie of all the franchises represented in this year’s Horror Nights, and the maze definitely did it justice in bringing the story to life. The production design was spot-on and the progression of the rooms followed the story of the movie to the letter, all adding up to a perfect immersive “Krampus” experience. They even piped in gingerbread smell for the kitchen attack! I don’t think I’ve ever even seen a “Texas Chainsaw Massacre” movie, but the level of detail in the environments and costumes in this maze had me really impressed. It’s also probably the most outright gory of any of this year’s Horror Nights attractions, and who doesn’t love gore at this kind of thing? This is another example of a theme done right: all the tableaus were convincing, all the scare actors were on point in their performances. Scenes taken right out of the movies are performed right in front of you. Michael Myers has never been more real or more terrifying. This maze was kind of 50/50 for me. On one hand, it has a lot of really cool and memorable effects. On the other, it’s incredibly repetitive, literally reiterating minor variations on the same two scenarios throughout. I know the movie takes place mostly within one room, but I think there must have been a more innovative way to interpret that limitation in maze form. Full disclosure: I tried watching this show and didn’t like it right off the bat, so I wasn’t too excited for the theme park version. And like the episode of the first season that I saw, the maze is full of haunting images that didn’t really hang together for me. It doesn’t help that the designers tried to cover three separate season’s worth of material in a single attraction, resulting in a disjointed (but neat-looking) experience. I like these characters as much of the next guy, but this maze was just a bit too dark and muddled to be able to tell what was supposed to be going on. I also feel like I missed a bunch of stuff because the unique “moments” kept cycling through just before I got there, so I don’t think I got the full effect. Either way, I left this one pretty disappointed. This was kind of a cheat, because only half of these were really scare zones, in that you had to walk through them to get to another section of the park. The “Gauntlet of Fear” was more like a half-baked maze unto itself making using of much of the park’s Upper Lot area. Nevertheless, the prop and costume design were still pretty cool, and a lot of it tied into the “Election Year” theme, making it a topical and often humorous take on our country’s current political climate. One of the usual thrills of Horror Nights in Hollywood is getting to venture into parts of the studio’s backlot that are usually off-limits to guests. The Terror Tram is a prime example of that, allowing attendees to explore the area surrounding the “Psycho” house, Bates Motel, and the “War of the Worlds” decimated suburban street location. A perfect locale for a haunt, right? Ordinarily I would say yes, but Universal’s crowd management system for this year’s Terror Tram was not working as it was designed. 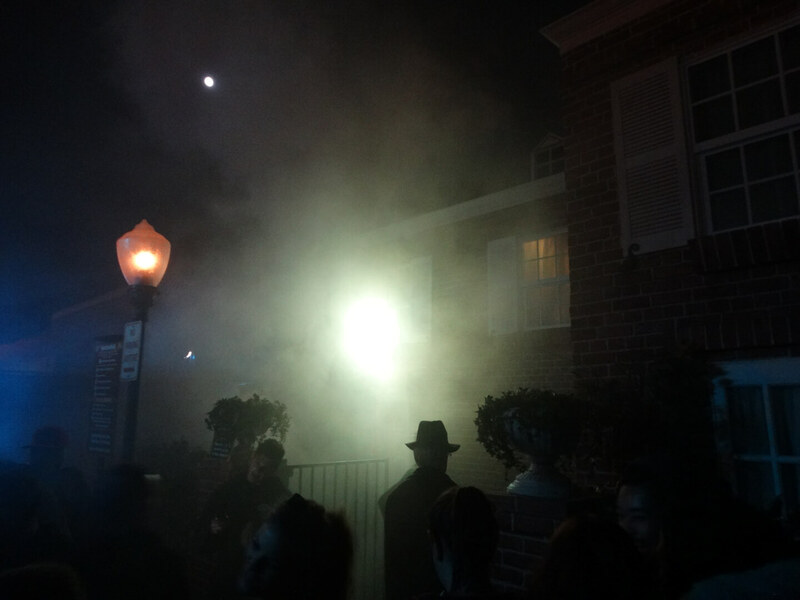 Groups were getting backed up and clogged throughout the attraction, to the point where it was difficult to walk without bumping into the people around you, let alone get scared. Speaking of which, Halloween Horror Nights is perhaps more popular now than it’s ever been, and this year’s maze lineup is stellar, running the gamut of iconic horror movie and television franchises. It’s basically a Halloween haunt fan’s dream team of scares and spooks. Which might help account for why the park was so incredibly overcrowded this past weekend. But that doesn’t excuse the way Universal has managed the situation. Horror Nights sold out its first two nights for the first time in history, and the lines were representative of that fact: many of the mazes regularly faces wait times of over two hours each. Reading guest reviews on Facebook and Twitter after the event, it was clear that many attendees didn’t even have the opportunity to see everything the event had to offer, missing upwards of half the mazes before the night came to a close. In my opinion this is a problem that needs to be addressed by Universal’s management as soon as possible. It’s not fair to pay full-price admission to a haunt event like Horror Nights and then spend the vast majority of your time standing in lines, only to ultimately get a fraction of the full experience for your trouble. I had the good fortune of using a media pass with a “Gate A” front of the line badge, and I felt guilty bypassing the endless general admission lines every time I went into a maze, because my sheer presence there was making their wait even longer. If wait times for attractions are too long, that’s the park’s problem to fix, not the guests. Asking customers to pay $100 extra to make their own experiences tolerable is a bad business practice. In my opinion, the attendance level should be capped by half of what I saw on opening night. “Gate A” is a perk for people with extra disposable income who don’t want to wait in line at all; it shouldn’t be a bare necessity for getting any enjoyment whatsoever out of Horror Nights. If you’ve been to Horror Nights in the past, then by and large you probably know what to expect. The only difference this year is that it’s probably going to be difficult to manage expectations considering the unchecked attendance problems as stated above. Other than reducing the total numbers of tickets sold for each night, the only other way I can think of to alleviate the problem would be for Universal to allow access to the Wizarding World of Harry Potter during the event, which would likely dissipate the lines at least a little bit. Otherwise, Horror Nights is a quality production, and on the creative end it absolutely does what it sets out to do, as always: scare you. All of these maze’s were done last year, what happened to Chase being the MC for the event? They hyped her all year long! Chance is the MC for HHN Orlando, don’t believe she was broadcasted to be the MC for Hollywood. Hey Mike! Great article. It would be really helpful if you could rank the mazes like Ricky did for the HHN Orlando article (Screamer, eye popper, etc.) We’re going for the first time this year, and are having difficulty prioritizing mazes.